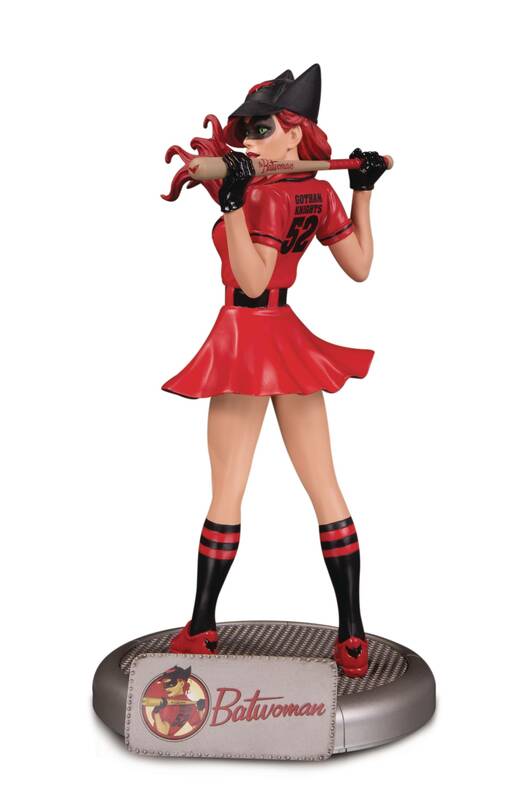 designed by ANT LUCIA sculpted by TIM MILLER As the slugging star of the Gotham Knights, Kate Kane has rightfully earned the name 'Batwoman.' This 'Away Uniform' variant allows fans to imagine what Gotham City's other Dark Knight looks like when she's not defending her home field. An all-star piece in its own right, it also serves as a great companion piece to the original, 1940s-era women's baseball-inspired design from Ant Lucia. This 10.5' tall, carefully crafted polyresin statue hits stores in April 2019 and is limited to just 5,000 total figures. • Limited to 5,000 pieces • Figure measures 10.6' tall • Allocations may occur • Final products may differ from images shown • Approximately 4 units per carton ON SALE APRIL 2019.